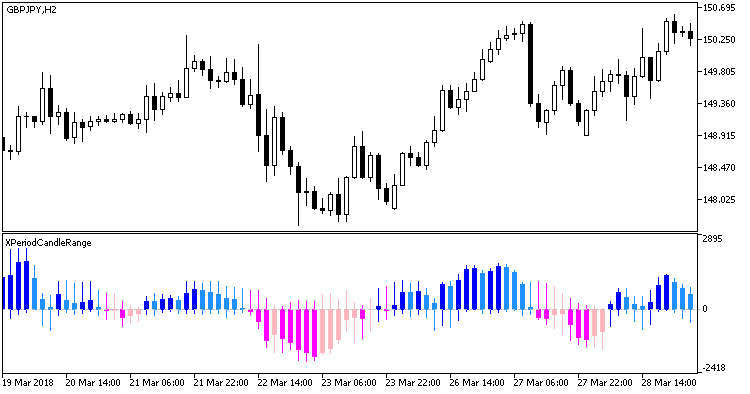 An indicator that draws the XPeriodCandle candlestick sizes in points. The candlesticks having their body sizes increasing by trend are drawn in bright colors. The candlesticks having their body sizes decreasing by trend are drawn in pale colors.